Barnesville has a lot to offer! Welcome to the Barnesville Area Chamber of Commerce. Have you ever wondered if there was a community that you could move to that would provide quality education for your children, would have good old fashioned values and one where you could shop that store owners know your name? Then let us suggest the place that you have been searching for is none other than Barnesville, Ohio! We are a community that truly offers something for both young and old. 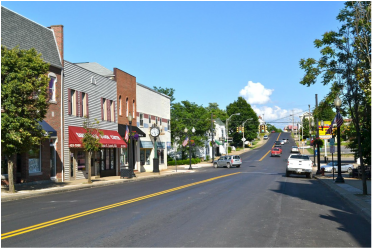 With a population of just over 4,000 people, the Village of Barnesville offers everything from shopping to having a picnic in our beautiful memorial park. We are also quite proud of the many historical features that make up Barnesville. Several of these historical attractions are open for tours. Barnesville has much to offer, and we certainly invite you to come explore all that Barnesville and the surrounding area has to offer. Stop by the Chamber office located at 130 West Main Street to pick up some information or just simply to chat. Take a look at our members!